The Easter season is here, therefore for the purpose of people who will be staying in Lagos for the festive, we bring you some of the places you can visit with your loved ones to have a great time. This conservation centre was established in 1990 and it is a 78 hectare located on the lekki peninsula. The conservation centre has a serene environment that offers an escape from the everyday hustle and bustle of life in Lagos. It has the pride of having the Longest canopy walk in Africa. This is one of Nigeria’s foremost cultural centre,it is one of the best places to visit when you find yourself in Lagos peninsula. It is located in the buzzing business district at the heart of Victoria Island and serves as a cultural and recreational hub. It attracts a large crowd from far and near, this is a place where you appreciate beautiful pieces of artwork with your loved ones and also enjoy the beautiful view of the surroundings. This is one of the best places in Lagos state where you can enjoy a romantic getaway with your spouse. It has a beautiful and serene environment, couples are bound to forget their worries while enjoying each others company. The beach resort is intertwined in the core freshness of nature amongst virgin trees and the beautiful view of the alluring romantic reflection of the setting sun upon the calm surface of the Atlantic Ocean. This is definitely for lovers of outdoor activities, and most importantly aquatic activities therefore, Lekki Leisure Lake is a place you need to visit. It is located along the Lekki Peninsular, it offers some of the best safe and adventurous/thrilling aquatic activities. This is a place you need to visit often. Especially when one need to hang out with friends or hold an urgent meeting, Bheerhugz is one of the best places to visit for that purpose. It is a stylish lounge perfect for personal, corporate, group and social hangout. Situated in the high brow areas of lagos state,it is a one-stop place for people who want to relax, unwind and enjoy delicious meals prepared by some of the best chefs in town. Here is a perfect location for a romantic getaway with your spouse. 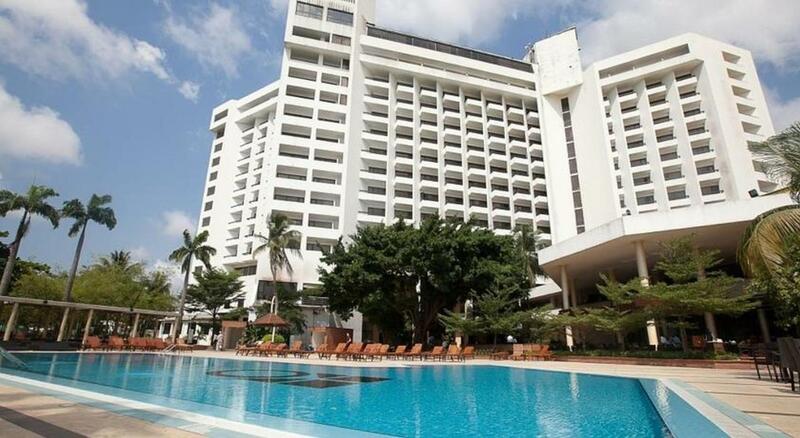 The luxury Eko hotels and suites give is second to none. It is located in the centre of Victoria Island away from the hustle and bustle of the Lagos metropolis, It offers it’s guest a perfect blend of Africa delicacies as well as intercontinental dishes, relaxation, and so many fun-filled activities. It also gives room for an overview of the Eko Atlantic Ocean and City, the hotel is designed for the comfort and convenience of guests. When you find yourself stranded on the Mainland, don’t sweat it too much, Ikeja city mall got you covered. This is one of the best places to visit on the mainland. It is a major shopping centre with some of the finest and coolest hangout spots. It is a good place to visit with families and friends. There is a wide variety of things you can do at the mall Like seeing the latest blockbuster movie, trying new international cuisines, shopping for groceries at lower prices, buying original make-up and even buying the latest designer outfit. Get Arena is a place to be for lovers of race. 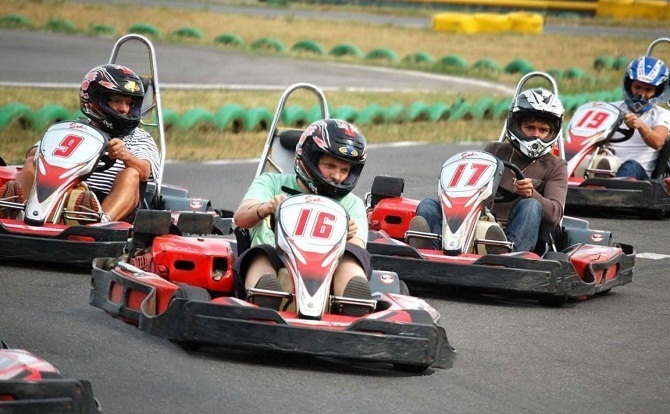 It is located just opposite Lagos Oriental Hotel off Ozumba Mbadiwe road, it offers arguably the best Go Karts in the country. It’s a nice place for family outing and group of friends hang out. The best part is you can create competition with colleagues or friends and race away. There are also arcade games for kids and nice restaurants to eat, drink and refill your energy level. This place is specifically for people who love and appreciate the work of arts. The Nike Art Gallery is situated at Ikate, Lekki Phase1 and it has a home to gallery and textile museum featuring over 8,000 pieces. Last but not the least on our list, it’s Johnson Jakande Tinubu (JJT) Park. Officially commissioned on December 2017 by the Governor of Lagos state, Akinwunmi Ambode, the park was named after the past Governors of Lagos state. It is located in Alausa, beside the Lagos State House of Assembly. This is a place for family picnic, friends hangout or other relaxation purposes, then you should visit the JJT park. It’s free to enter and guess what! It has Free WiFi. There is also a waterfall where kids can play. It has lots of sitting areas and you can also take food inside. All in all, it is a great place to relax, unwind and forget about your worries.